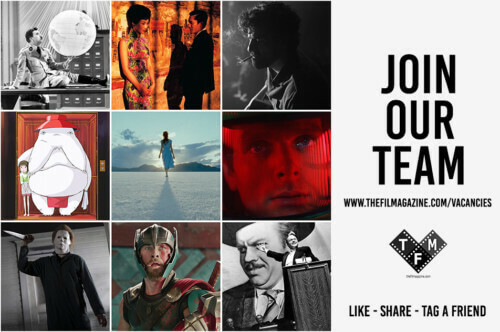 This article was provided to The Film Magazine for exclusive use by Beth Sawdon of flipendofilms. Some of the greatest films of all time started their lives as scripts, ideas on a mind-map, a bullet point in a coffee-stained notebook. But, some films were born in novels. Novels written on train journeys bit by bit, or even slaved at for weeks at a typewriter. These books and stories we hold dear have been adapted for our visual pleasure onto the big screen, though it remains common knowledge that some adaptations are more successful than others. Why is that? Surely a book-to-film adaptation simply involves reading the source material and recreating what’s on paper? Ha! If it were that easy, the 1991 adaptation of Stephen King’s IT wouldn’t have been the utter sham that it was. There is much more to our favourite adaptations than meets the eye, so I have taken it upon myself to compile a list of factors to consider when creating a book-to-film adaptation that we can collectively acknowledge as being good, or at least as good as a literary adaptation can be in the relatively short medium of film. The original work is the main source of information when recreating an already successful novel into a film. It is essential that the narrative of an adaptation follows the original work as closely as possible, yet isn’t drawn out too much. With this in mind, it is important to consider the best route of recreation – is it possible to work it into one film, or will it be a series? The Lord of the Rings series was split into three films, just like the books, and to great critical and commercial success. The following story of The Hobbit was also split into three films despite being inspired by a singular novel, and was done so to a more mixed reception. Some may consider this a money-making tactic, but the length and depth of Tolkien’s novel arguably required a detailed trilogy. Regardless of the number of films needed to re-imagine a novel, the key events must be included for the film to ring true to the book. The plot must flow as smoothly as that in the book does in order for the adaptation to be a success. Descriptions of settings, characters and events must also be correctly interpreted and brought to life to appeal to both the book and film audiences – this is particularly important with fantasy novels, where readers have spent time imagining the worlds and characters described to them on paper. Harry Potter and the Philosopher’s Stone perfectly recreated the scene in which the first years arrive at Hogwarts, for example. Prior to the 2001 film’s release, fans had been making their own minds up for four years on how Hogwarts would look, and how it would feel to see it in real life. The movie didn’t disappoint, birthing a memorable and powerful moment for fans if not cinema as a whole. Once the original work has been read, it is vital to think about and work with the author. After all, they created the story and should therefore at least be a part of it’s adaptation. In fact, many authors may have already considered a film adaptation following the success of the book! 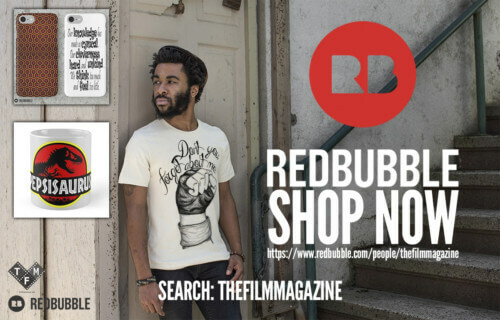 When it comes to casting, direction, design and other varying aspects of film production, the author being at the heart of it all can be a huge asset; assisting in the transformation of their ideas and offering tidbits of inspiration or knowledge that may otherwise be missing. After becoming engrossed in The Shining, Stanley Kubrick approached Stephen King with his mind already full of visualisations for his impressive novel. Before landing on Jack Nicholson to play the lead role, King disapproved of Kubrick’s other choices of Robert De Niro, Robin Williams and Harrison Ford. Without Stephen King’s input, we could have had funnyman Robin Williams shouting “here’s Johnny!” through a crack in a door; an image I’m sure you won’t soon forget! 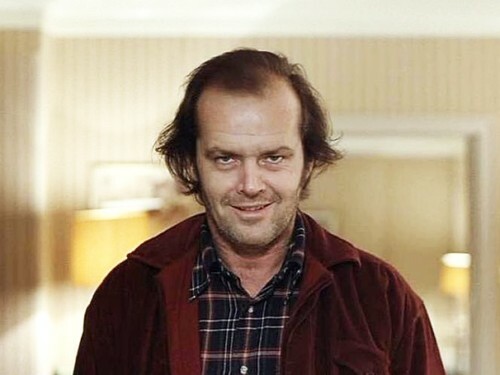 Although the film was a great success, King still wasn’t satisfied with Kubrick’s choice however, as in the novel, Jack Torrance slowly becomes more and more paranoid, detached and unhinged; whereas King believed that Nicholson’s portrayal was borderline psychotic from the start. Although it is important to please and entertain an audience with a film adaptation, it is vital to listen to the author when making their dream a reality, for even in the case of a great adaptation like The Shining, there remains a missing link and the feeling of unlocked potential that could have brought about something altogether greater. If the film adaptation is going to be based on a series of books, it is important to consider the changes that may need to happen with later films. Do the books gradually get darker as the story unfolds? Do characters or settings change? Will the audience change? If so, the crew and/or cast may need changing or updating too. Take the Harry Potter series for example; seven books were reimagined into eight films by four different directors, each of whom brought their own individual talents and stylistic trademarks into the expanding Harry Potter universe. Chris Columbus directed the first two films, followed by Alfonso Cuarón who showed audiences how much darker the story was about to become via his work in the third movie. Mike Newell directed number four, and David Yates covered the final four films in the franchise, including the darkest of all eight films. Various cast members also needed to be changed or added as time went on and personal circumstances arose, yet the story still flows through all eight films to a level of success rivalled by very few film series whether they be adaptations or originals. Perhaps most importantly, the series’ shift from children’s movie director Chris Columbus – known for Home Alone 1 & 2 – to the director of Children of Men in Cuarón and then David Yates, a filmmaker known for his work on the adult-themed political thriller ‘State of Play’, worked towards accommodating an audience that was growing older, shifting tone from children’s movies to a series of films for young adults. One of the main things to consider when creating a book-to-film adaptation is the existing fan base. After all, these are people who may know the source material inside out and have a huge passion for it, so they’re at least going to be the movie’s core audience. Online forums and blogs are flooded daily with fans expressing their wishes for future film adaptations and content they’d love to see on the big screen. Many film crews now will have people involved in the production who are already die hard fans. A recent example of this is director J.J. Abrams’ involvement in the new Star Wars films, whose love and passion for the original trilogy has fuelled his ideas for the new stories. In 2015, Jim Miller from Lionsgate was quoted as saying, “loyalty to the source material is the most important thing” and “to diverge from what made them popular would be a huge mistake”. It’s not quite a book-to-film adaptation in the traditional sense, but Deadpool is a great example of a film that needed a push from this original material die hard fanbase for it to get the green light from production companies. After years of being in development, Fox finally approved the production of Deadpool after fans began raving about some well-timed leaked footage of director Tim Miller and Ryan Reynolds. After Deadpool’s appearance in X-Men Origins: Wolverine (2009), which was derided by many fans, both Miller and Reynolds wanted to give the character justice and create a better portrayal of the character which was closer to the 1990’s comic books. Deadpool has now become one of Marvel’s most successful film franchises and has raked in more than double the money of X-Men Origins for studio 20th Century Fox. One of the biggest mistakes that can be made when creating a film adaptation is simply trying too hard. A successful adaptation requires dedicated time, effort and passion; not considering the whole material and just wanting to make a film out of it will likely lead to failure. During the development and production of A Series of Unfortunate Events, some crew members left the team and the director was replaced, bringing in a new person at the helm who was not familiar with the classic series of books. Apparently he quickly read the first three novels, despite the series containing thirteen books, and was excited to get started; yet the final film contained little of what was written in the novels, and events from all three were mixed up and didn’t make much sense to those who had given their time to the books. The author Daniel Handler, who goes by the alter-ego Lemony Snicket, had written eight drafts of the script for the original director, but was replaced by screenwriter Robert Gordon and decided not to take credit for the screenwriting of the film. Although Handler approved of the changes to his screenplay, he was disappointed that his work was not used after he’d spent so much time on it. A Series of Unfortunate Events is a fine film, yet it doesn’t ring true with the original novels. The film is not an adaptation, it’s more “loosely based on Handler’s stories”. In 2017 however, a Netflix series of the same name was released, and was developed by the film’s original director Barry Sonnenfeld and author Daniel Handler. The series currently spans over two seasons and eighteen episodes which covers books one to nine, and with a third series in the pipeline to cover the last four books, this adaptation is looking much more dedicated than the film. It is already clear that so much more time, effort and love has gone into this adaptation, and my previous statement on how important it is to include the author in production is so relevant to this work. 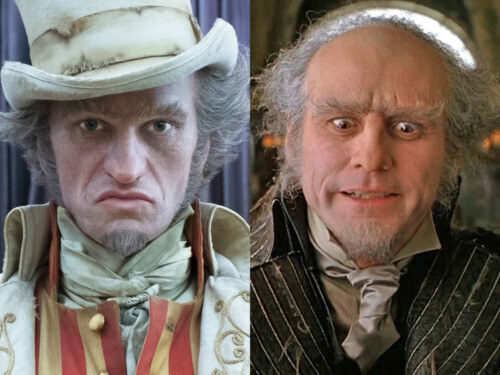 Neil Patrick Harris (left) and Jim Carrey (right) in various A Series of Unfortunate Events adaptations. Being able to see a world on the big screen that you believed to only exist in your mind is so wondrous, and brings not only the author’s imagination to life, but your own. Here are just a few of my favourite book-to-film adaptations, what are yours?